Ray's Barber Place men's grooming at Monarch Bay Plaza shopping center in Dana Point, CA. Ray's Barber Place is a barber shop that specializes in men's grooming needs such as haircuts, face shaves, and beard maintenance. Our barber shop is built on quality and pride. 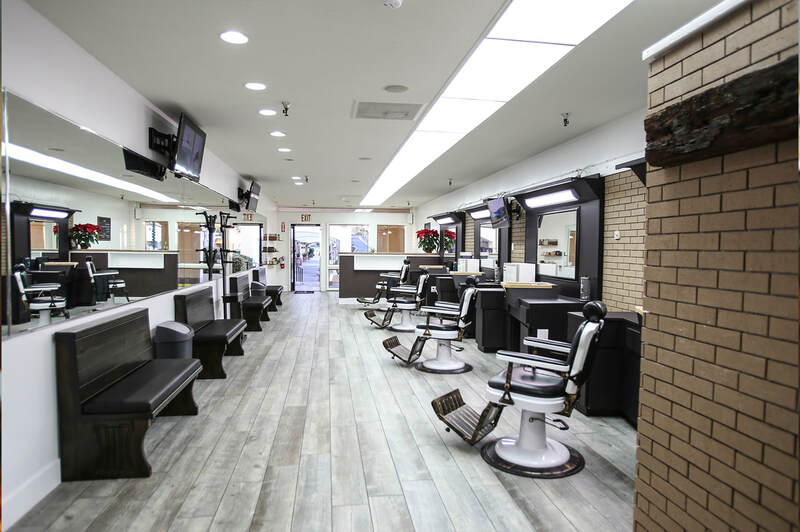 A haircut is a haircut, but add the warmth of shaving cream, the smoothness of a freshly-shaved neck, and the happiness of looking in the mirror and seeing a great cut is what Ray's is all about. We have been in business for 13 years in San Clemente where we have been voted Best Barber Shop 2 years in a row and we are excited to be expanding into Dana Point. Our environment is why people love Ray's and that's because it is where you will only be a stranger once!